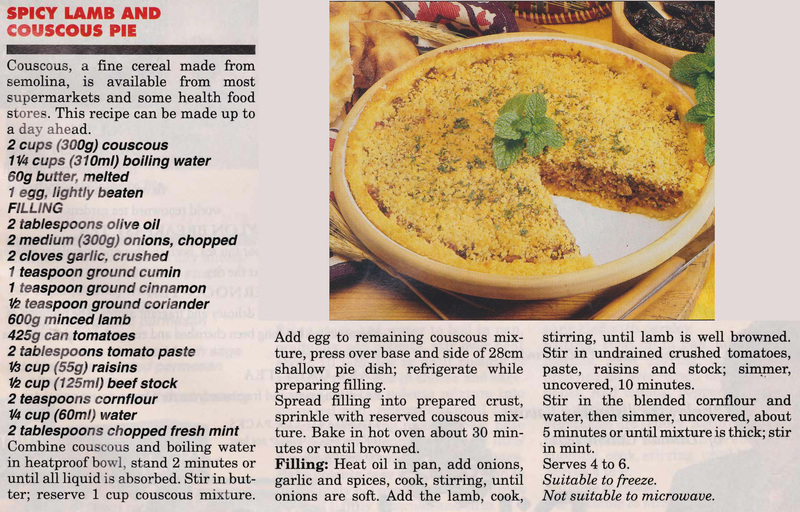 This recipe comes from an Australian Women’s Weekly ‘Pies without Pastry’ liftout dated August 1994. I love the first paragraph explaining what couscous is and where you can buy it. It was obviously a very new ingredient back then, quite a contrast to how easy it is to find in every supermarket now. Claufouti – a baked French dessert of fruit, traditionally black cherries, arranged in a buttered dish and covered with a thick flan-like batter – that’s the official definition anyway. 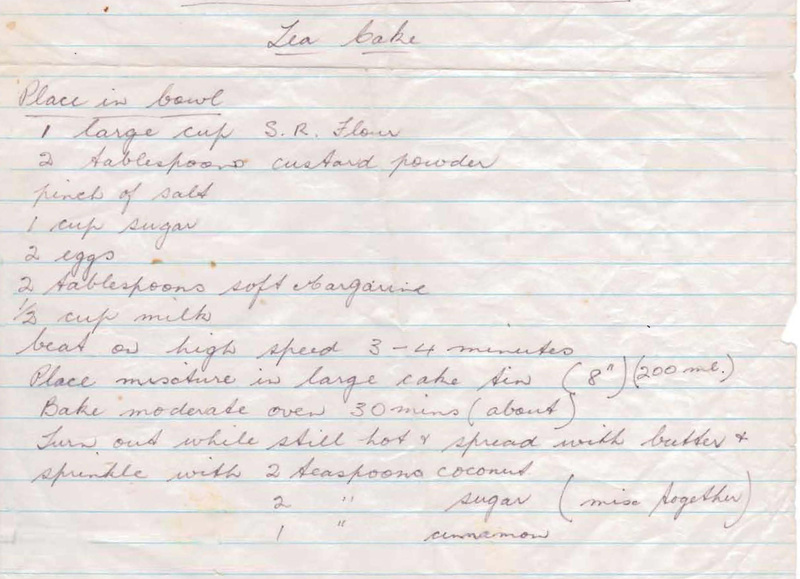 This recipe was published in the Woman’s Day sometime ago, but I only started making it more recently. It’s a terrific dinner party dessert, because you can prepare it beforehand and then put it in the oven while you’re eating the main course. 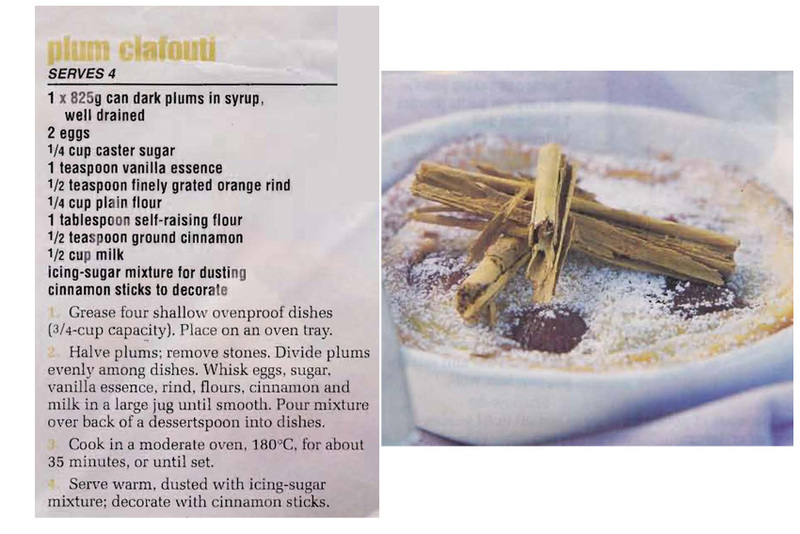 I don’t bother with the cinnamon sticks, I just serve it with some cream and icecream and everyone seems to like it. I’ve always thought that a Tea Cake was a cake which can be made quickly just before visitors arrive and eaten fresh and warm with a cup of tea or coffee. Cakes made like this don’t keep well and are really best eaten the day their made. Beat on high speed 3-4 minutes. 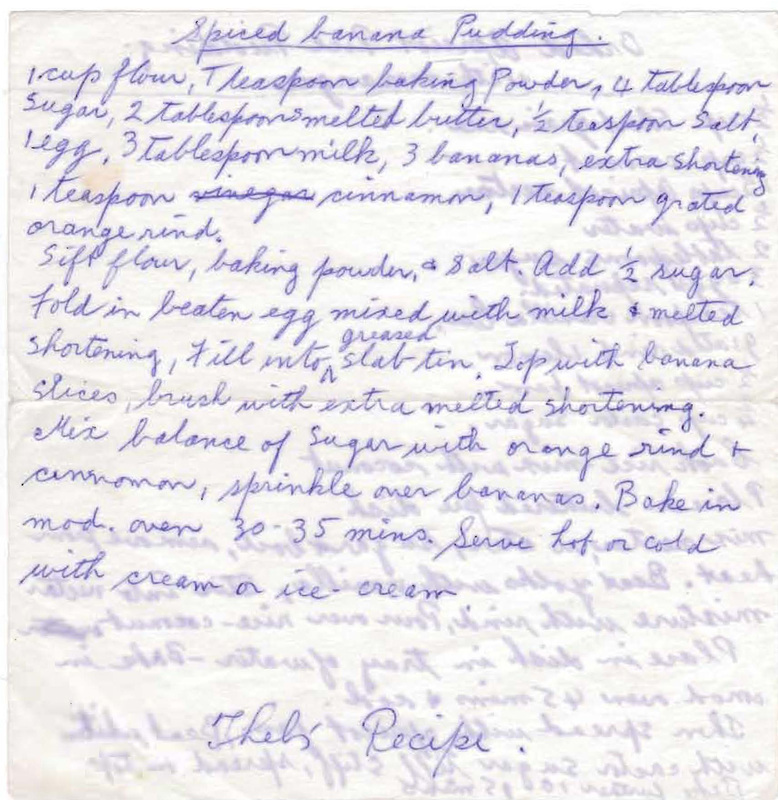 Place mixture in large cake tin (200ml). Bake moderate oven 180o for about 30 minutes. Turn out while still hot and spread with butter. Mix together 2 teaspoons coconut, 2 teaspoons sugar and 1 teaspoon cinnamon and spread on cake. 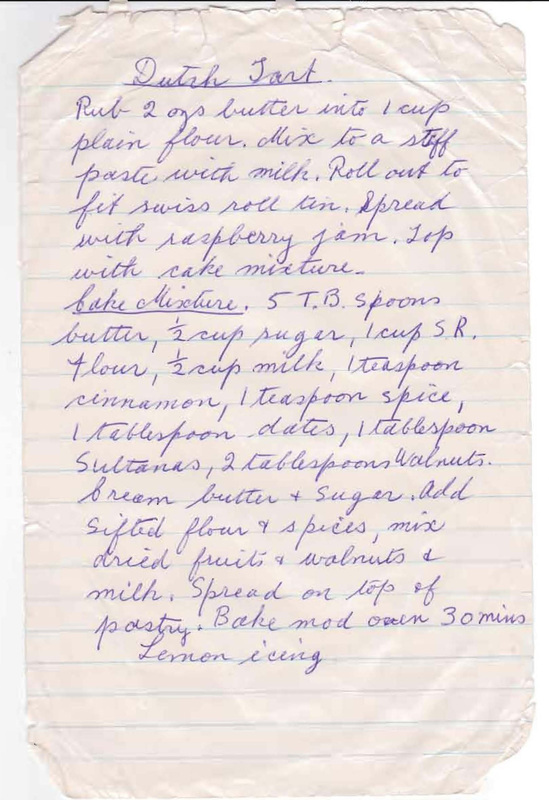 Thel was one of Mum’s golfing friends and a very good cook, there’s a few of her recipes scattered throughout Mum’s collection. This banana pudding would have appealed to Mum as she and Dad both liked bananas, there were always some in the fruit bowl. 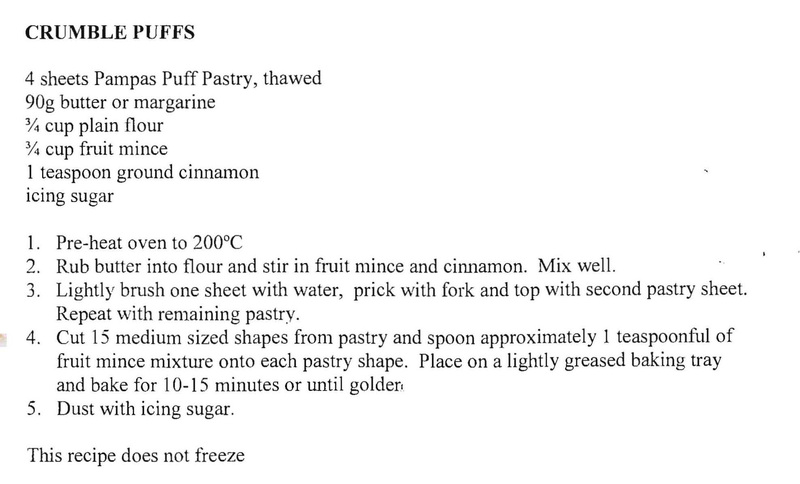 This pudding would have been a good way to use up those that had ripened just a little too much. Sift flour, baking powder and salt, add half the sugar. Fold in beaten egg mixed with milk and melted butter. 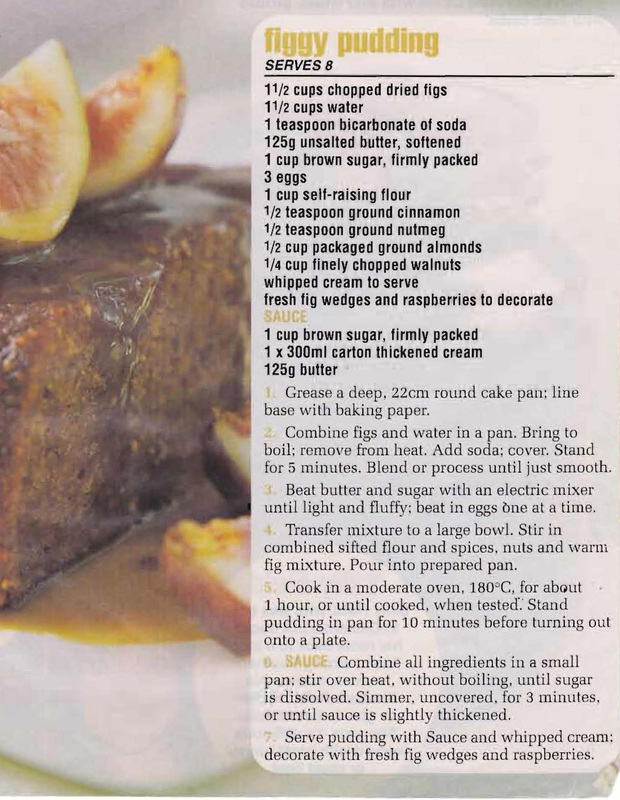 Pour into greased slab tin, top with banana slices, brush with extra melted butter. Mix balance of sugar with orange rind and cinnamon, sprinkle over bananas. Bake in mod oven 30-35 mins. Serve hot or cold with cream or ice cream.